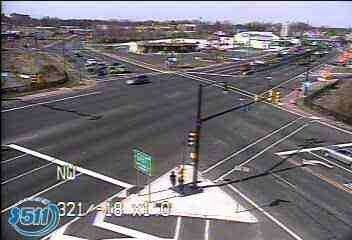 Get a webcam shot of you on the corner to log the cache! Smile! You're stuck in traffic! 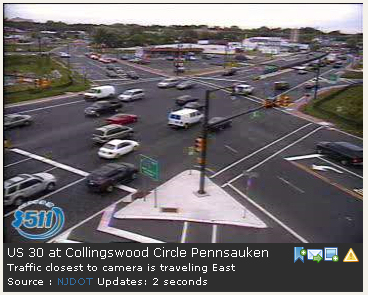 Welcome to historic Collingswood/Pensauken. This is a Webcam Cache requiring you to have your picture taken to log the find. There is nothing hidden at the posted coordinates. 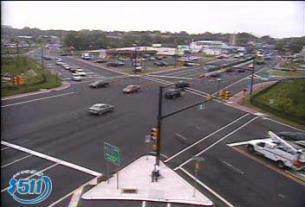 The webcam is a traffic-camera monitoring the interchange of US 30 (The Whitehorse Pike) and NJ Route 130. Believe it or not, this was at one time a traffic circle. I suggest parking in the Diner just North of GZ, the Animal Hospital to the West or the Law Firm to the South and taking the crosswalks. 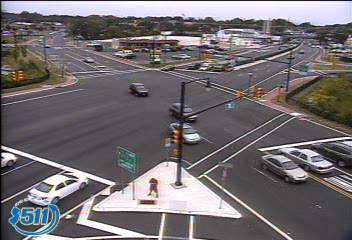 Be careful crossing as these are a busy intersections! There are crosswalks, crossing signals and even a pedestrian bridge available for your safe caching pleasure. Have fun, stay safe and enjoy your stay in South Western Jersey! 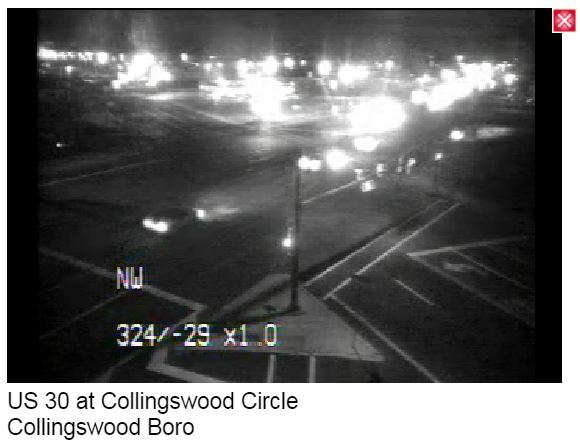 At the left click on the "US 30 at Collingswood Circle". Cache on! I'll go ahead and log the find, you can trust the OCNA webmaster. Being on vacation and using "hotel computers", I can't personally resize my cell phone saved pic to 100KB or less, but I'm going to email someone to see if they can do it for me, or upload it myself next week. The intersection wasn't all that crazy busy on a Saturday around 3:00 PM, and everthing worked out fine. Thanks for creating this cache on our site! When the pic is up, you'll see myself, my 14 yr. old, and his 15 yr. old cousin. 2807. Stopped off on the way to meet my troop at summer camp at Camp Ockinickon a bit further north. Snapped the pic from the webcam and then took a pic from that spot, in the same direction. 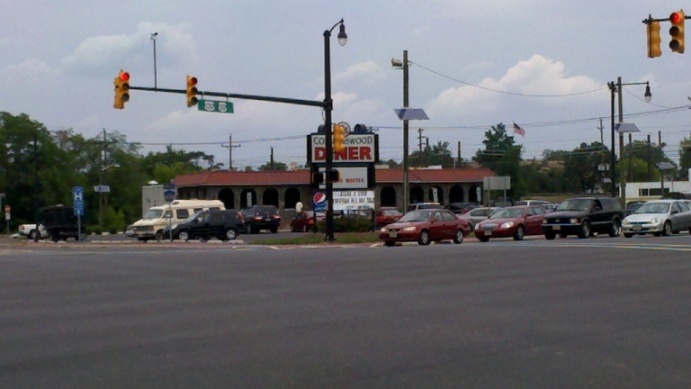 If you look closely, you'll even be aple to see my CRV parked at the diner. Glad to get the 2nd closed unfound OCUS cache to home. (1, FTF 1) Yazoo! First find is a First to Find, and a Webcam at that. Nice little lunchtime C&F (Cache & Flash). I parked behind the law offices, at the end of the alley just south of GZ (could have parked on the side street just as easily), and walked the few steps to GZ. I thought that would be better than parking at the diner and risking my life crossing two highways. Webcams are so much easier today with smart phones. You point your browser to the webcam page, wait until you show up in the picture, then press & hold the image, then select Save. That easy. On an Android, anyway. Probably can't be done on an iPhone. Of course, I learned that trick after spending $9.73 on a phone call home for this cache. Thanks, Eric, for putting a new one in extreme southern Central Jersey for me!